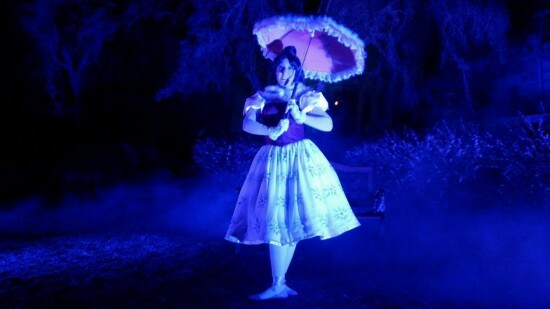 Have a look at the always enchanting Haunted Mansion tightrope girl, Daisy de la Cruz, as she captivates her audience on the lawn outside Haunted Mansion. The mademoiselle is full of advice and is quite the flirt with her adoring fans. 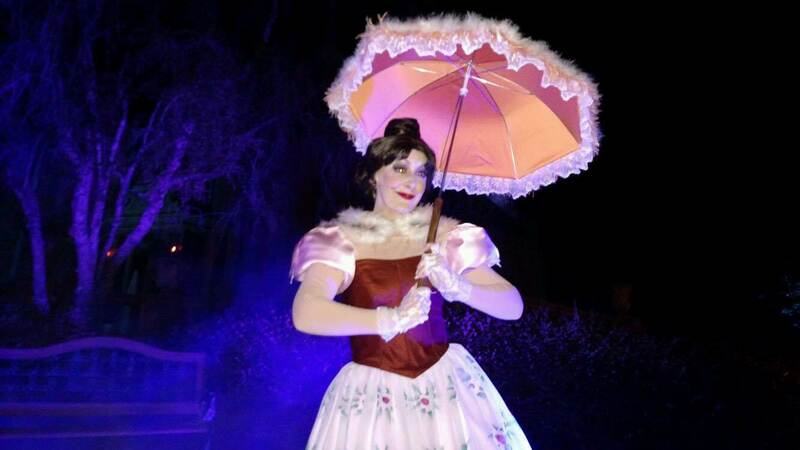 This character is rarely seen in the park and hopefully she will become an addition to the upcoming Mickey’s Not So Scary Halloween Parties. A second party will be held on March 3rd. You can read more about these Disney Vacation Club events HERE.